JotForm doesn’t hard-sell its audience on its online forms — forms are boring and there are dozens of identical online form competitors. Their content instead helps organizations become more productive. Defining a core narrative helps you to tell stories beyond yourself and still sell your product without shoving it down people’s throats. And every brand has a good narrative to sell — I mean, tell. The full-service storage company Clutter doesn’t hard-sell its boring storage services. It talks about delivering peace of mind. 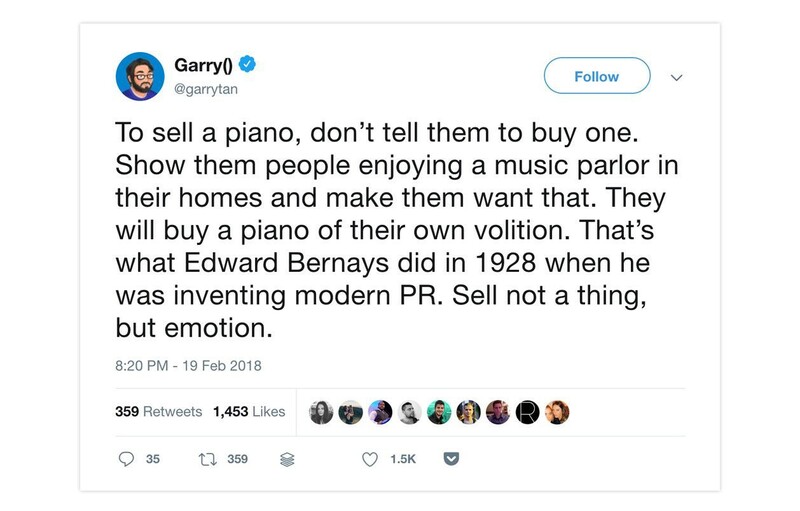 “The point of an awareness strategy is not to capture dollars by selling a thing, it is to capture attention by selling an idea adjacent to that thing. By capturing attention with ideas you own that idea. By owning the idea, you own the audience. By owning the audience you can tell the audience what to pay attention to, and thereby define the marketplace. That’s why it’s critical to break down your core narrative into tiers. You can think of your tiers as categories your stories will cover — they help you to turn such high-level narrative into an actionable content plan. And your tiers can have a varying dose of “you” — from a tier that covers product-related topics (more about you) to one that solves your audience’s other, broader problems (nothing about you). It’s easy for us to sit here and criticize those content teams that publish ego-centric content. But how about other market conditions where building even some “awareness” is challenging, never mind the conversion? Will those aggressive conversion strategies or ego-centric content work? “The challenge is that most brands aren’t good at awareness. A brand is a selfish thing. It was born as an idea about itself, it raised money talking about itself, it sells product talking about itself. It rightly and correctly does SEO and programmatic advertising and targeted banner ads and webinars and cold calls and feature releases and press releases about itself. If you want people to pay attention to you someday, you have to eventually write so good that people will recommend it to their friends — in fact, so good that they want to be the first one to recommend it to their friends for the implied good taste. No growth hack or brilliant content promotion idea can save you long term if you don’t have a sufficiently good writing. 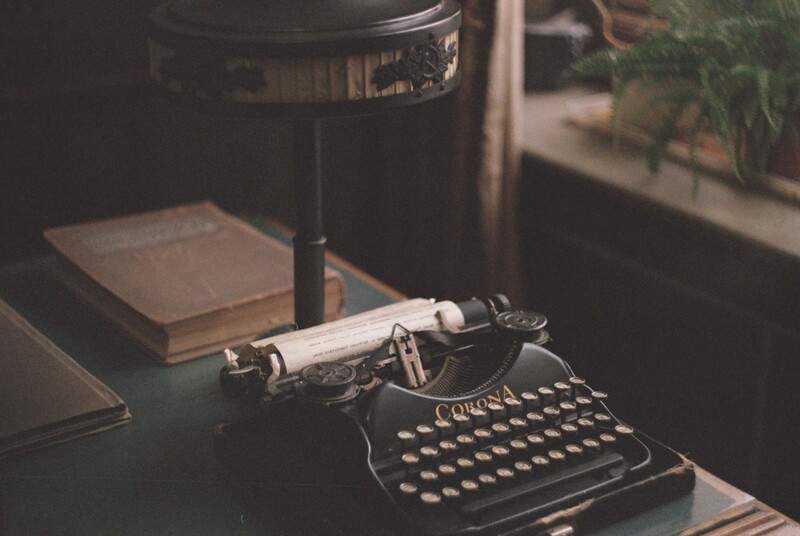 So if you’re trying to grow your traction around a mediocre writing, fix it now. Don’t try to avoid the problem by writing lazy listicles or looking for aggressive tactics. And if you’re just starting out, take the time to write stories your audience loves, no matter how long it takes. 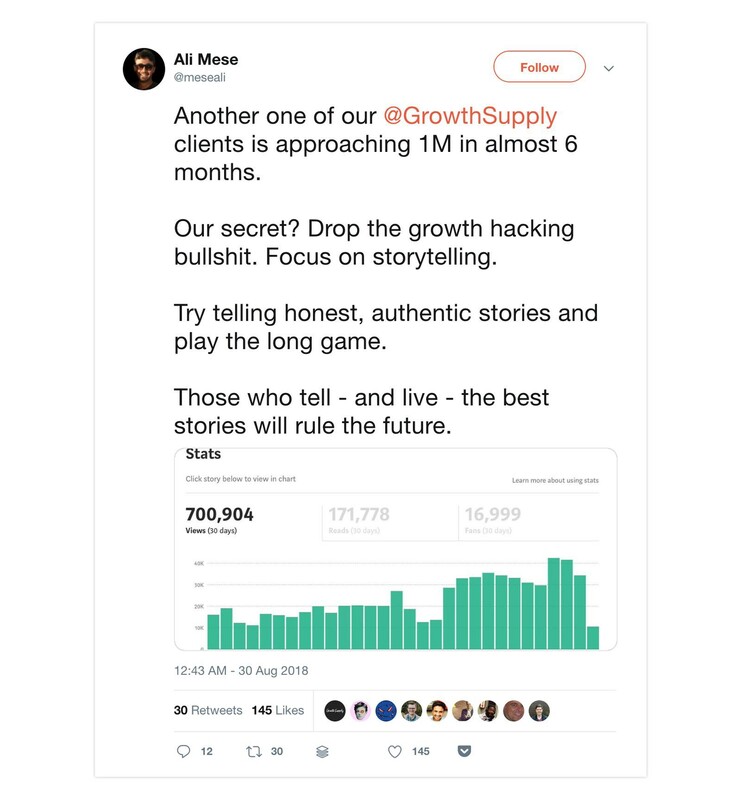 Gumroad founder Sahil’s tweet on how long it takes to bring together a compelling story as one of his recent stories is approaching one million readers. It takes hours, often days, to bring together a strong argument, organize your thoughts, and solve a series of logic problems about the order of ideas.